Native to North America, this buttery nut has much to offer your bones and whole body: antioxidants, vitamins, minerals, fiber, and healthful fatty acids, to name a few. It can be used in sweet or savory dishes, belongs to the same family as hickory nuts, and the trees grow wild in the United States. Sound familiar? I am talking about the pecan, a delicious nut that is second to the peanut in popularity. 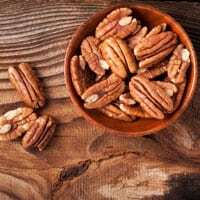 Pecans are often overlooked as a health food, but this Foundation Food has no fewer than 12 Foundation Supplements, and in addition, research supports the pecan as a brain-boosting, heart-healthy food. And to help you include this nut in your bone-healthy diet, you’ll find a mouth-watering apple-pecan recipe in today’s post. So whether you pronounce it “pee-can” or “pee-cahn,” this humble nut has a place in a bone-smart diet, and today we’re going to look at the reasons why. The answer to that question is, a whole lot! First of all, pecans offer the following 12 Foundation Supplements that are essential for building bone. Crucial for the synthesis of connective tissue in both bone and cartilage, manganese joins with copper and zinc to form Manganese Superoxide Dismutase, a very powerful antioxidant that is indispensable for bone health. Manganese is also involved in the synthesis of protein and fatty acid metabolism, which is interesting considering the healthful fatty acids that are also found in pecans (more on those later). In addition, thyroxine, the major hormone produced by the thyroid gland, depends on manganese for its formation. This trace mineral works with manganese and zinc, as noted above. Found in all body tissues, it’s involved in many body processes, including enzymatic ones. Copper is, in fact, an active moiety of an enzyme that produces collagen, elastin, and other connective tissue proteins. Copper also preserves and develops strong-walled blood vessels, healthy joints, and strong bones. It’s not likely your doctor mentioned zinc when he or she was discussing bone health with you. But zinc is a vital element of the immune system, the proper functioning of which is essential for bone health. 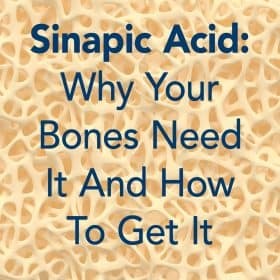 In addition, zinc is found in the hydroxyapatite mineral crystals in bone matrix, where it helps regulate bone turnover. Without zinc, your liver could not produce alkaline phosphatase, a substance that aids osteoblasts build new bone. This mineral is gaining more attention with regard to osteoporosis, and for good reason. Magnesium is involved in a large number of biological processes, and deficiency is more common than most people realize. Magnesium is necessary for calcium absorption, with 65 percent of the body’s magnesium stores found in bones. An antioxidant as well as a vitamin, Vitamin C is vital for the synthesis of collagen, a protein that is largely responsible for the tensile strength (and therefore fracture resistance) of bone. Vitamin C ensures that collagen is sufficiently hydroxylated in the bone matrix, and it also boosts immune system function. This fat-soluble vitamin is far more important for bone health than the Medical Establishment recognizes, even though research supports its role in bone health. In fact, a form of Vitamin K2, MK-4, naturally inhibits the formation of osteoclasts, the cells that tear down old bone. Vitamin K has even been shown to help prevent fractures. The B vitamins are grouped together because they work in synergy with each other, and pecans contain no fewer than five of them. 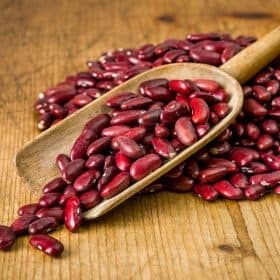 These vitamins metabolize carbohydrates, fats, and proteins, and they also are crucial for the proper functioning of the brain and nervous system. Folate (B9) and B6 in particular are implicated in the reduction of inflammatory homocysteine in the blood. Inflammation is destructive to bone tissue, and reducing it is key to rejuvenating bone. Pecans also boast high levels of choline, a nutrient that is crucial to the synthesis of cell membranes and is responsible for their structural integrity. In addition, these B vitamins work together as co-factors in various enzymatic metabolic processes in the body. Besides the above Foundation Supplements, pecans are a rich source of potassium, phosphorous, selenium, iron, Vitamin E, Vitamin A, and essential fatty acids that we’re going to look at next. Researchers credit pecans’ high monounsaturated fatty acid content with their cholesterol-lowering effects and their ability to decrease the risk of cardiovascular disease. Specifically, pecans contain oleic acid, a monounsaturated fatty acid that is also an excellent source of phenolic antioxidants that may even be helpful in weight control. And believe it or not, there’s more about this remarkable little nut. 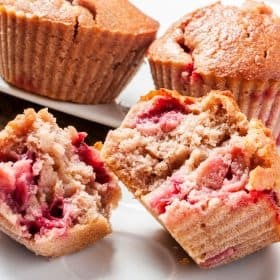 In addition to antioxidant vitamins E and C mentioned above, pecans contain ellagic acid, which has exhibited the ability to inhibit DNA binding of carcinogenic substances including nitrosamines and certain hydrocarbons. Pecans contain antioxidants beta-carotenes, lutein, and zeaxanthin, which act as free radical scavengers, protecting bones and other organs from oxidative damage. Yes, pecans are acidifying, whether eaten raw or roasted. Like many nutritious acidifying foods, though, they have their place in an 80/20 pH-balanced diet as described in the Osteoporosis Reversal Program. After all, it’s not a 100 percent alkalizing diet that builds bone; it’s a balanced diet that includes some acidifying foods, so it makes sense for that 20 percent to be composed of the most nutritious foods possible. In the following recipe, pecans are paired with an alkalizing, nutritious Foundation Food, apples, to produce a delectable, bone-smart, pH-balanced dish. In a bowl, mix together apricots, raisins, pecans, honey, coconut oil and cinnamon. Cut apples in half, scoop out the core and brush with lemon juice. Place the apple halves in a baking dish, cut side up, and spoon in some of the pecan and fruit mixture. Bake for 30 to 40 minutes, or until apples are tender when pierced with a fork. Serve with this bone-healthy ice cream, if desired. It’s easy to think that eating foods specifically to build bone means having to settle for tasteless, unpleasant foods in large quantities. But as the above recipe shows, consuming and preparing pH-balanced bone-healthy dishes can be absolutely delicious and enjoyable. 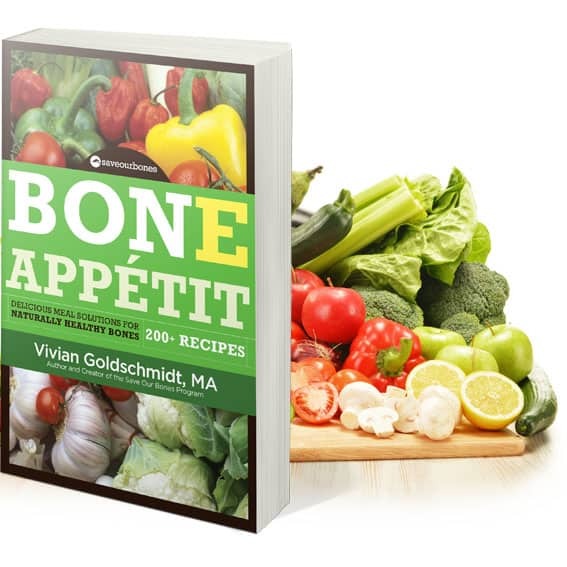 To showcase the tasty, creative nature of bone smart foods, I created Bone Appétit, the companion cookbook to the Osteoporosis Reversal Program. Bone Appétit contains more than 200 delicious recipes for breakfast, lunch, dinner, and desserts, in a convenient downloadable format. And most recipes include Foundation Foods, to ensure they contain bone-rejuvenating nutrients. Enjoy eating your way to better bone health with Bone Appétit! does anyone know how to fix osteitis? It is not osteoporosis. Please advise. Thanks for all the great recipes & exercises. I continue to read & value your expertise on this topic of osteoporosis. This recipe sounds absolutely delicious! You are welcome, Judy! I hope you have a chance to try it soon. I am 56, and was diagnosed with osteopenia ten years ago, nine years before menopause. A year ago I learned that I have celiac disease, and probably had it for fifteen years, as I was asymptomatic. I was eager to try the bone building supplement you suggest, TrueOsteo, but I can’t because of the ingredient Ashwagandha. It is a nightshade, and I have bad reactions to nightshade vegetables: arthritis and acid reflux. I am having a hard time finding a calcium supplement that provides the other vitamins and minerals in TrueOsteo that is gluten free, soy free, and nightshade free. The brand my naturopath carries includes potato starch–a nightshade. I really need your suggestion for other brands to consider. Great to know how good pecans are. but I’m taking medications for my HP and high cholesterol. I would like to cure my HP. My pharmacist said that the drugs I’m taking do not interact with each other..
hi vivian, once again a delicious easy recipe thanks so much. You are welcome, Eileen. I hope you have a chance to try the recipe soon!